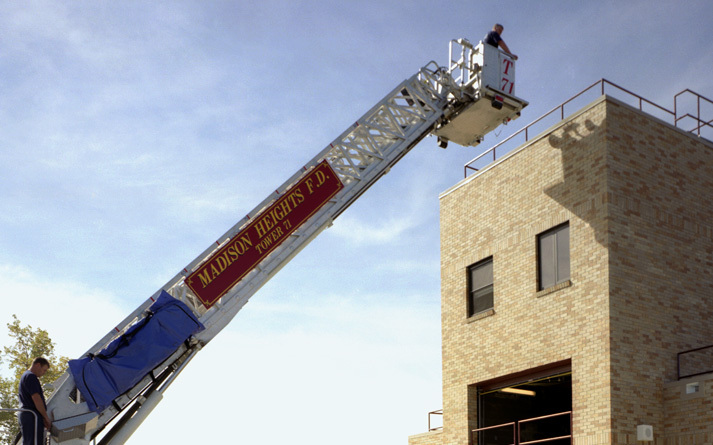 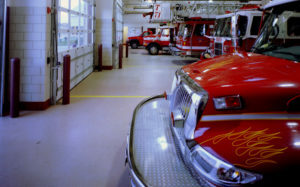 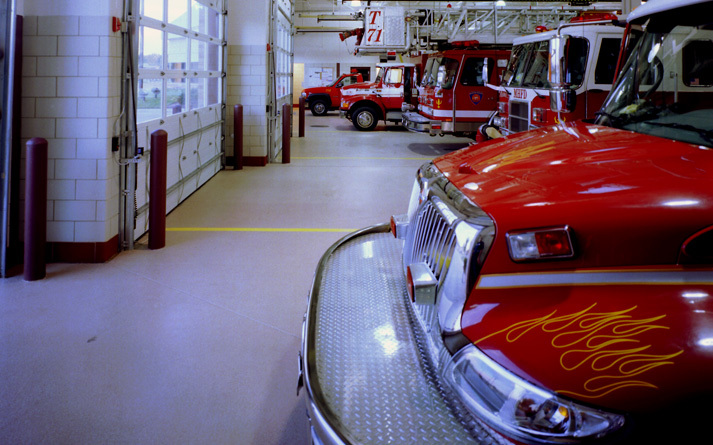 Madison Heights Fire Station – Sidock Group Inc.
Project Size: 19,500 sq. 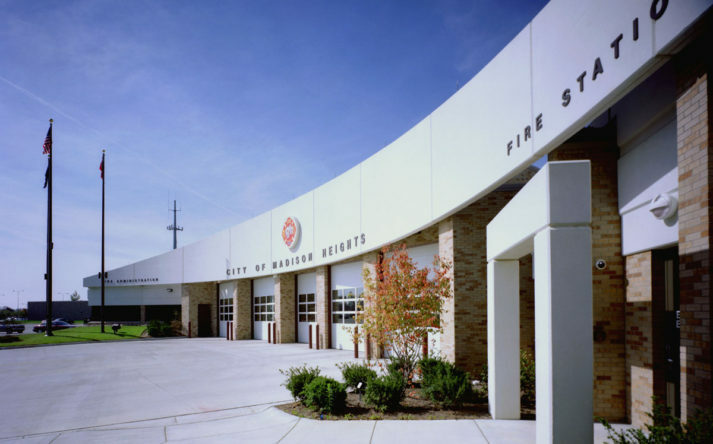 ft.
New five bay headquarters fire station strategically located on a corner of the civic center complex allowing separate egress onto two major roadways. 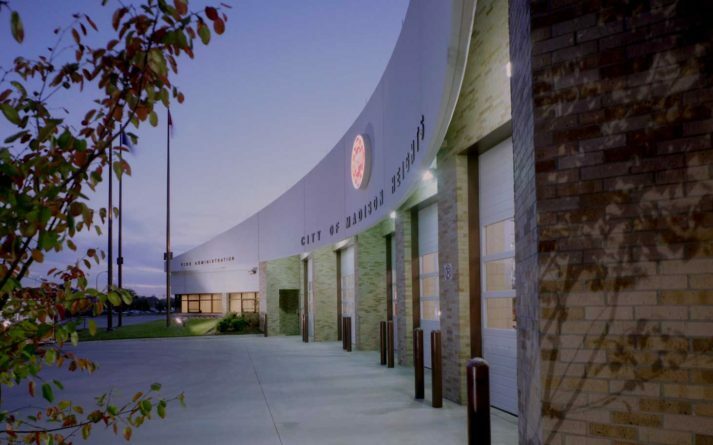 The station provides a training room that can act as the City’s emergency operations center (EOC). The site is configured with a free-standing multi-story training tower for Department use. The project also included demolition of the existing station and remodeling of a satellite station.